As the world’s most extensive coral reef ecosystem, the Great Barrier Reef is a globally outstanding and significant entity. Practically the entire ecosystem was inscribed as World Heritage in 1981, covering an area of 348,000 square kilometres and extending across a contiguous latitudinal range of 14o (10oS to 24oS). The Great Barrier Reef (hereafter referred to as GBR) includes extensive cross-shelf diversity, stretching from the low water mark along the mainland coast up to 250 kilometres offshore. This wide depth range includes vast shallow inshore areas, mid-shelf and outer reefs, and beyond the continental shelf to oceanic waters over 2,000 metres deep. Within the GBR there are some 2,500 individual reefs of varying sizes and shapes, and over 900 islands, ranging from small sandy cays and larger vegetated cays, to large rugged continental islands rising, in one instance, over 1,100 metres above sea level. Collectively these landscapes and seascapes provide some of the most spectacular maritime scenery in the world. The latitudinal and cross-shelf diversity, combined with diversity through the depths of the water column, encompasses a globally unique array of ecological communities, habitats and species. This diversity of species and habitats, and their interconnectivity, make the GBR one of the richest and most complex natural ecosystems on earth. There are over 1,500 species of fish, about 400 species of coral, 4,000 species of mollusk, and some 240 species of birds, plus a great diversity of sponges, anemones, marine worms, crustaceans, and other species. No other World Heritage property contains such biodiversity. This diversity, especially the endemic species, means the GBR is of enormous scientific and intrinsic importance, and it also contains a significant number of threatened species. Attime of inscription, the IUCN evaluation stated "… if only one coral reef site in the world were to be chosen for the World Heritage List, the Great Barrier Reef is the site to be chosen". Criterion (vii): The GBR is of superlative natural beauty above and below the water, and provides some of the most spectacular scenery on earth. It is one of a few living structures visible from space, appearing as a complex string of reefal structures along Australia's northeast coast. From the air, the vast mosaic patterns of reefs, islands and coral cays produce an unparalleled aerial panorama of seascapes comprising diverse shapes and sizes. The Whitsunday Islands provide a magnificent vista of green vegetated islands and spectacular sandy beaches spread over azure waters. This contrasts with the vast mangrove forests in Hinchinbrook Channel, and the rugged vegetated mountains and lush rainforest gullies that are periodically cloud-covered on Hinchinbrook Island. On many of the cays there are spectacular and globally important breeding colonies of seabirds and marine turtles, and Raine Island is the world’s largest green turtle breeding area. On some continental islands, large aggregations of over-wintering butterflies periodically occur. Beneath the ocean surface, there is an abundance and diversity of shapes, sizes and colours; for example, spectacular coral assemblages of hard and soft corals, and thousands of species of reef fish provide a myriad of brilliant colours, shapes and sizes. The internationally renowned Cod Hole near Lizard Island is one of many significant tourist attractions. Other superlative natural phenomena include the annual coral spawning, migrating whales, nesting turtles, and significant spawning aggregations of many fish species. Criterion (viii): The GBR, extending 2,000 kilometres along Queensland's coast, is a globally outstanding example of an ecosystem that has evolved over millennia. The area has been exposed and flooded by at least four glacial and interglacial cycles, and over the past 15,000 years reefs have grown on the continental shelf. During glacial periods, sea levels dropped, exposing the reefs as flat-topped hills of eroded limestone. Large rivers meandered between these hills and the coastline extended further east. During interglacial periods, rising sea levels caused the formation of continental islands, coral cays and new phases of coral growth. This environmental history can be seen in cores of old massive corals. Today the GBR forms the world’s largest coral reef ecosystem, ranging from inshore fringing reefs to mid-shelf reefs, and exposed outer reefs, including examples of all stages of reef development. The processes of geological and geomorphological evolution are well represented, linking continental islands, coral cays and reefs. The varied seascapes and landscapes that occur today have been moulded by changing climates and sea levels, and the erosive power of wind and water, over long time periods. One-third of the GBR lies beyond the seaward edge of the shallower reefs; this area comprises continental slope and deep oceanic waters and abyssal plains. Criterion (ix): The globally significant diversity of reef and island morphologies reflects ongoing geomorphic, oceanographic and environmental processes. The complex cross-shelf, longshore and vertical connectivity is influenced by dynamic oceanic currents and ongoing ecological processes such as upwellings, larval dispersal and migration. Ongoing erosion and accretion of coral reefs, sand banks and coral cays combine with similar processes along the coast and around continental islands. Extensive beds of Halimeda algae represent active calcification and accretion over thousands of years. Biologically the unique diversity of the GBR reflects the maturity of an ecosystem that has evolved over millennia; evidence exists for the evolution of hard corals and other fauna. Globally significant marine faunal groups include over 4,000 species of molluscs, over 1,500 species of fish, plus a great diversity of sponges, anemones, marine worms, crustaceans, and many others. The establishment of vegetation on the cays and continental islands exemplifies the important role of birds, such as the Pied Imperial Pigeon, in processes such as seed dispersal and plant colonisation. Human interaction with the natural environment is illustrated by strong ongoing links between Aboriginal and Torres Strait Islanders and their sea-country, and includes numerous shell deposits (middens) and fish traps, plus the application of story places and marine totems. Criterion (x): The enormous size and diversity of the GBR means it is one of the richest and most complex natural ecosystems on earth, and one of the most significant for biodiversity conservation. The amazing diversity supports tens of thousands of marine and terrestrial species, many of which are of global conservation significance. As the world's most complex expanse of coral reefs, the reefs contain some 400 species of corals in 60 genera. There are also large ecologically important inter-reefal areas. The shallower marine areas support half the world's diversity of mangroves and many seagrass species. The waters also provide major feeding grounds for one of the world's largest populations of the threatened dugong. At least 30 species of whales and dolphins occur here, and it is a significant area for humpback whale calving. Six of the world’s seven species of marine turtle occur in the GBR. As well as the world’s largest green turtle breeding site at Raine Island, the GBR also includes many regionally important marine turtle rookeries. Some 242 species of birds have been recorded in the GBR. Twenty-two seabird species breed on cays and some continental islands, and some of these breeding sites are globally significant; other seabird species also utilize the area. The continental islands support thousands of plant species, while the coral cays also have their own distinct flora and fauna. The ecological integrity of the GBR is enhanced by the unparalleled size and current good state of conservation across the property. At the time of inscription it was felt that to include virtually the entire Great Barrier Reef within the property was the only way to ensure the integrity of the coral reef ecosystems in all their diversity. A number of natural pressures occur, including cyclones, crown-of-thorns starfish outbreaks, and sudden large influxes of freshwater from extreme weather events. As well there is a range of human uses such as tourism, shipping and coastal developments including ports. There are also some disturbances facing the GBR that are legacies of past actions prior to the inscription of the property on the World Heritage list. At the scale of the GBR ecosystem, most habitats or species groups have the capacity to recover from disturbance or withstand ongoing pressures. The property is largely intact and includes the fullest possible representation of marine ecological, physical and chemical processes from the coast to the deep abyssal waters enabling the key interdependent elements to exist in their natural relationships. Some of the key ecological, physical and chemical processes that are essential for the long-term conservation of the marine and island ecosystems and their associated biodiversity occur outside the boundaries of the property and thus effective conservation programs are essential across the adjoining catchments, marine and coastal zones. The GBR covers approximately 348,000 square kilometres. Most of the property lies within the GBR Marine Park: at 344,400 square kilometres, this Federal Marine Park comprises approximately 99% of the property. The GBR Marine Park's legal jurisdiction ends at low water mark along the mainland (with the exception of port areas) and around islands (with the exception of 70 Commonwealth managed islands which are part of the Marine Park). In addition the GBR also includes over 900 islands within the jurisdiction of Queensland, about half of which are declared as 'national parks', and the internal waters of Queensland that occur within the World Heritage boundary (including a number of long-established port areas). The World Heritage property is and has always been managed as a multiple-use area. Uses include a range of commercial and recreational activities. The management of such a large and iconic world heritage property is made more complex due to the overlapping State and Federal jurisdictions. The Great Barrier Reef Marine Park Authority, an independent Australian Government agency, is responsible for protection and management of the GBR Marine Park. The Great Barrier Reef Marine Park Act 1975 was amended in 2007 and 2008, and now provides for “the long term protection and conservation ... of the Great Barrier Reef Region” with specific mention of meeting "... Australia's responsibilities under the World Heritage Convention". Queensland is responsible for management of the Great Barrier Reef Coast Marine Park, established under the Marine Parks Act 2004 (Qld). This is contiguous with the GBR Marine Park and covers the area between low and high water marks and many of the waters within the jurisdictional limits of Queensland. Queensland is also responsible for management of most of the islands. The overlapping jurisdictional arrangements mean that the importance of complementary legislation and complementary management of islands and the surrounding waters is well recognised by both governments. Strong cooperative partnerships and formal agreements exist between the Australian Government and the Queensland Government. In addition, strong relationships have been built between governments and commercial and recreational industries, research institutions and universities. Collectively this provides a comprehensive management influence over a much wider context than just the marine areas and islands. Development and land use activities in coastal and water catchments adjacent to the property also have a fundamental and critical influence on the values within the property. The Queensland Government is responsible for natural resource management and land use planning for the islands, coast and hinterland adjacent to the GBR. Other Queensland and Federal legislation also protects the property’s Outstanding Universal Value addressing such matters as water quality, shipping management, sea dumping, fisheries management and environmental protection. The Federal Environment Protection and Biodiversity Conservation Act 1999 (EPBC Act) provides an overarching mechanism for protecting the World Heritage values from inappropriate development, including actions taken inside or outside which could impact on its heritage values. This requires any development proposals to undergo rigorous environmental impact assessment processes, often including public consultation, after which the Federal Minister may decide, to approve, reject or approve under conditions designed to mitigate any significant impacts. A recent amendment to the EPBC Act makes the GBR Marine Park an additional 'trigger' for a matter of National Environmental Significance which provides additional protection for the values within the GBR. The GBR Marine Park and the adjoining GBR Coast Marine Park are zoned to allow for a wide range of reasonable uses while ensuring overall protection, with conservation being the primary aim. The zoning spectrum provides for increasing levels of protection for the 'core conservation areas' which comprise the 115,000 square kilometres of ‘no-take’ and ‘no-entry’ zones within the GBR. While the Zoning Plan is the 'cornerstone' of management and provides a spatial basis for determining where many activities can occur, zoning is only one of many spatial management tools and policies applied to collectively protect the GBR. Some activities are better managed using other spatial and temporal management tools like Plans of Management, Special Management Areas, Agreements with Traditional Owners and permits (often tied to specific zones or smaller areas within zones, but providing a detailed level of management not possible by zoning alone). These statutory instruments also protect the Outstanding Universal Value of the property. Many Aboriginal and Torres Strait Island peoples undertake traditional use of marine resource activities to provide traditional food, practice their living maritime culture, and to educate younger generations about traditional and cultural rules and protocols. In the GBR these activities are managed under both Federal and Queensland legislation and policies including Traditional Use of Marine Resource Agreements (TUMRAs) and Indigenous Land Use Agreements (ILUAs). These currently cover some 30 per cent of the GBR inshore area, and support Traditional Owners to maintain cultural connections with their sea country. 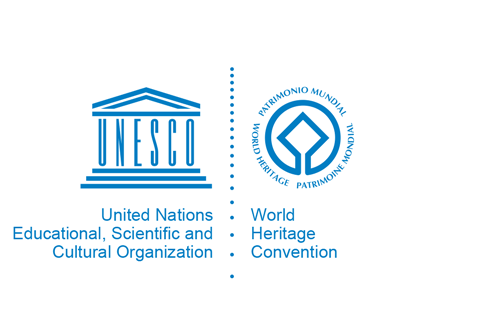 Similarly non-statutory tools like site management and Industry Codes of Practice contribute to the protection of World Heritage values. Some spatial management tools are not permanently in place nor appear as part of the zoning, yet achieve effective protection for elements of biodiversity (e.g. the temporal closures that are legislated across the GBR prohibit all reef fishing during specific moon phases when reef fish are spawning). Other key initiatives providing increased protection for the GBR include thecomprehensive Great Barrier Reef Outlook Report (and its resulting 5-yearly reporting process); the Reef Water Quality Protection Plan; the GBR Climate Change Action Plan; and the Reef Guardians Stewardship Programs which involve building relationships and working closely with those who use and rely on the GBR or its catchment for their recreation or their business. The 2009 Outlook Report identified the long-term challenges facing the GBR; these are dominated by climate change over the next few decades. The extent and persistence of damage to the GBR ecosystem will depend to a large degree on the amount of change in the world’s climate and on the resilience of the GBR ecosystem to such change. This report also identified continued declining water quality from land-based sources, loss of coastal habitats from coastal development, and some impacts from fishing, illegal fishing and poaching as the other priority issues requiring management attention for the long-term protection of the GBR. Emerging issues since the 2009 Outlook Report include proposed port expansions, increases in shipping activity, coastal development and intensification and changes in land use within the GBR catchment; population growth; the impacts from marine debris; illegal activities; and extreme weather events including floods and cyclones. Further building the resilience of the GBR by improving water quality, reducing the loss of coastal habitats and increasing knowledge about fishing and its effects and encouraging modified practices, will give the GBR its best chance of adapting to and recovering from the threats ahead, including the impacts of a changing climate.